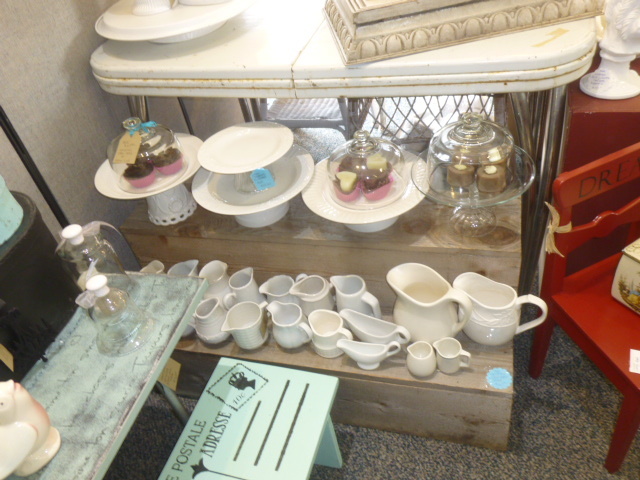 The moving sale at Curiosities is moving along QUICKLY . . . just ADDED more stuff!! 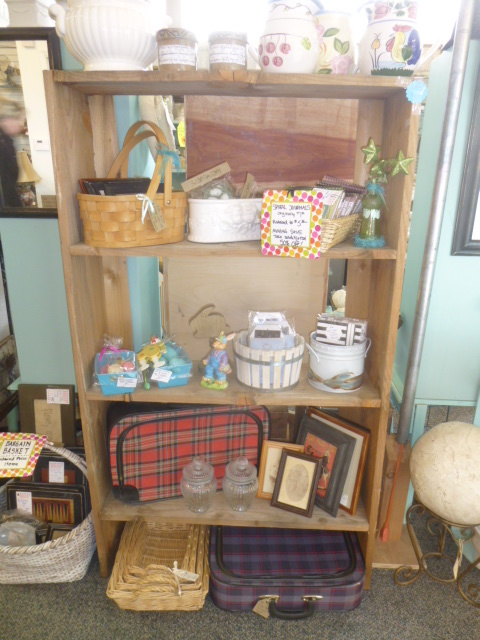 “Borrowed” a few pieces from Michael to get me through last week; including this weathered cedar shelf with open back. Perfect plant shelf for the patio. Original price $80.00. NOW JUST $40.00. 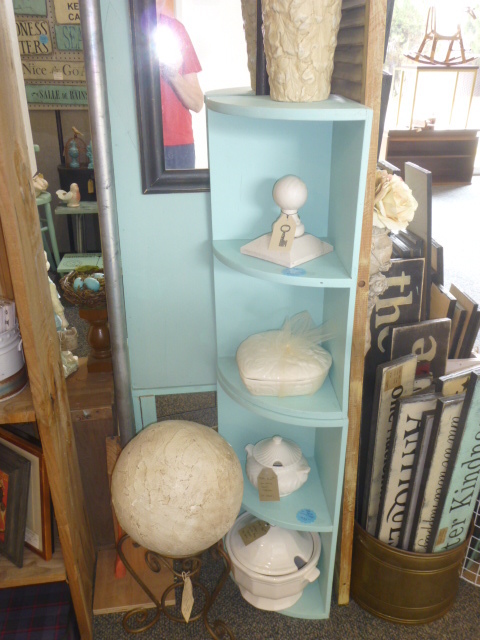 Also brought in these small aqua corner shelves. This is 2 of them stacked on top of each other. Regular price: $39.00. Half off will be $19.50. This one is slightly smaller than the other two. Regular price: $29.00. $15.50 at half off. 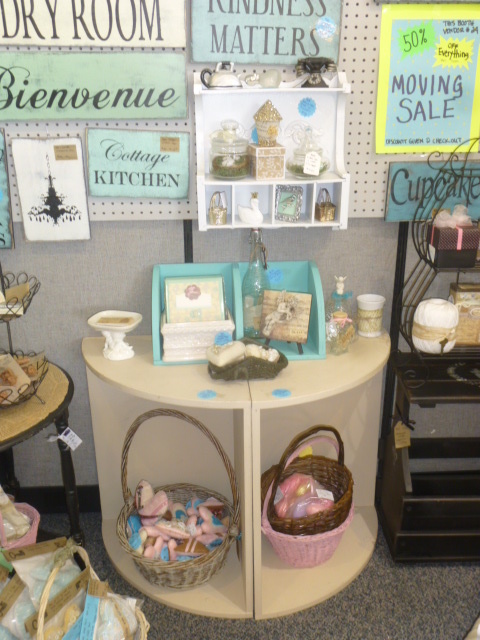 These bigger tan corner shelves are FABULOUS display pieces for a mall booth setting. 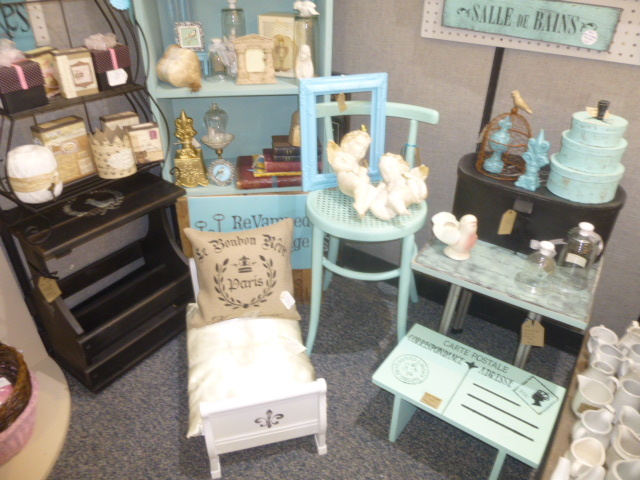 Corners are SO difficult to ‘use’ for display, and all too often are just left bare! 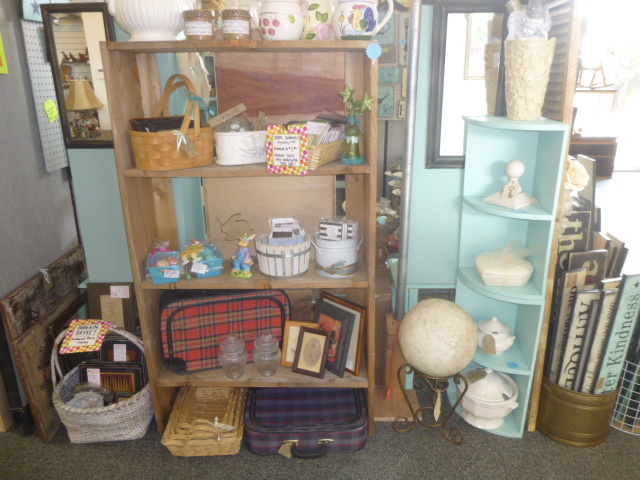 Make better use of that valuable real estate with corner shelves like this. they are big enough to stack a regular shelf on top of. (which is what I usually did) Originally $49.00; with half price discount $25.00. 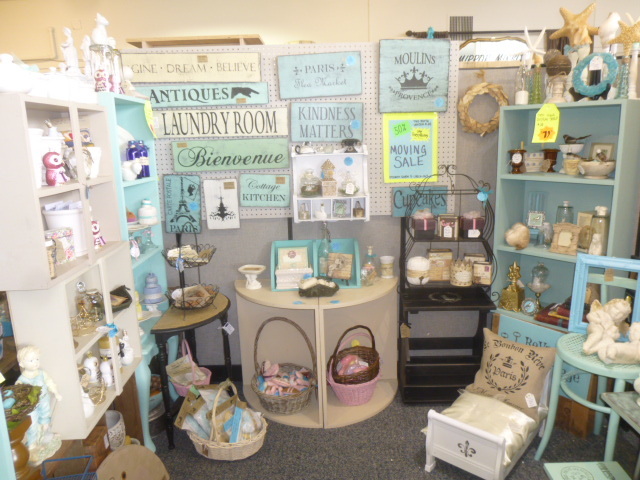 ALL items in my booth at Curiosities still have the REGULAR price on the price tag. The 50% discount will be given at check-out. Another naturally weathered cedar piece; this time a ‘stair step’ shelf. Great display piece or patio plant shelf. 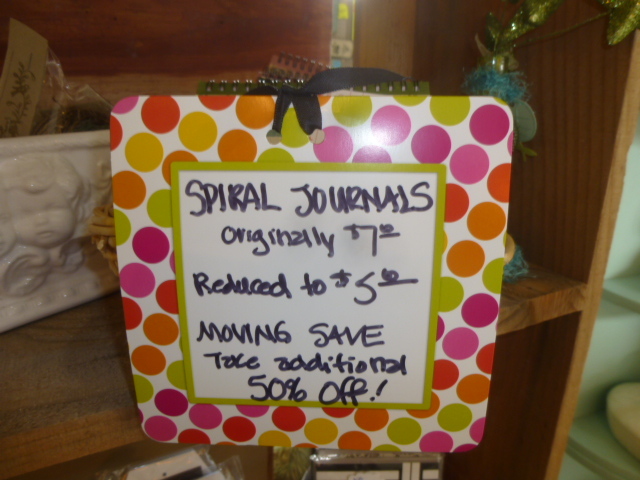 Half off price is; $30.00. 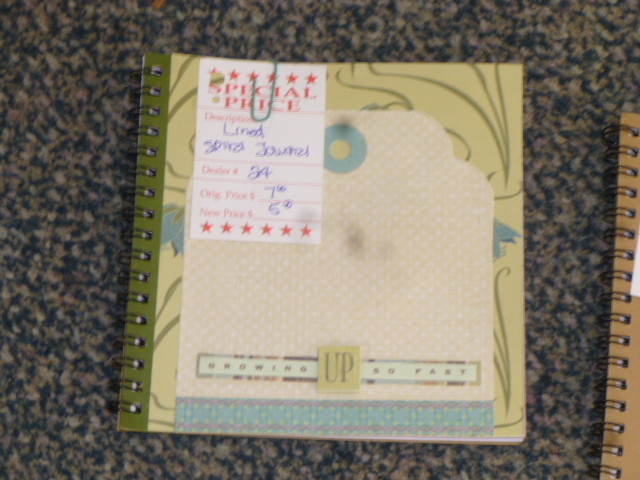 Found a huge stash of altered journals! They are marked down to $5.00 AND will get an additional 50% discount at check out. 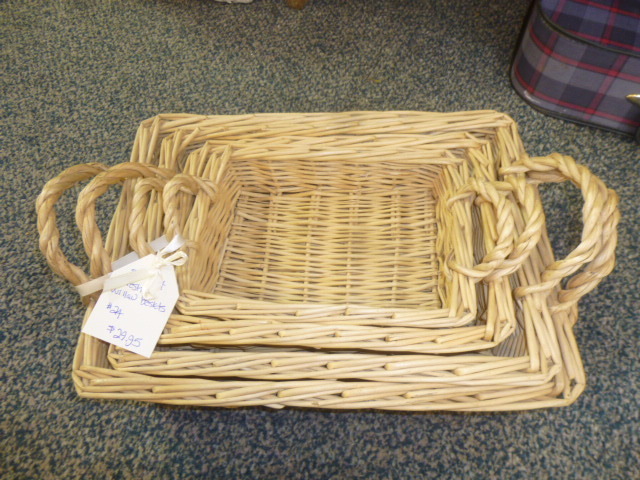 Great to have on hand when you need a quick gift! 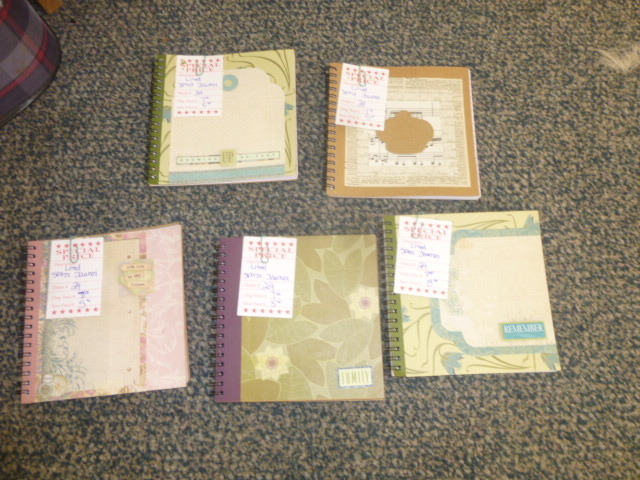 All of those are spiral bound. 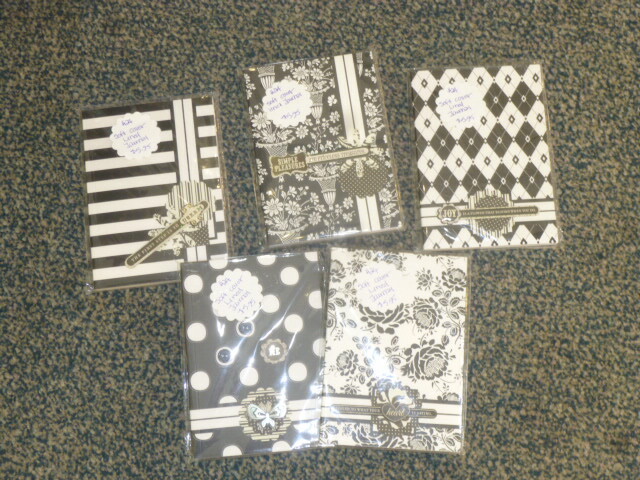 These black and white ones are soft cover bound. 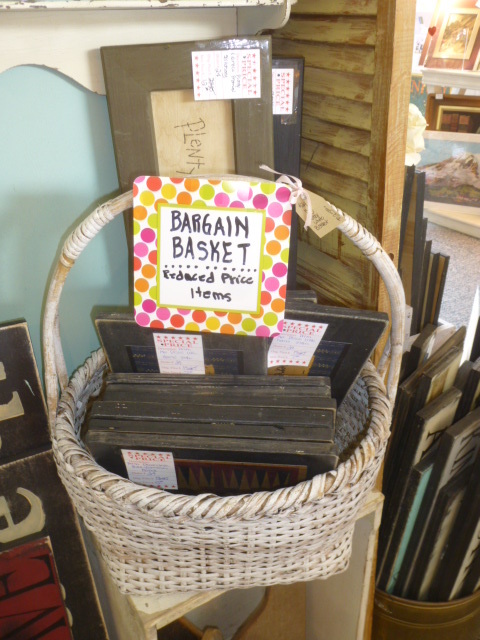 Big ole basket of marked down signs will also be reduced and ADDITIONAL 50% at check out. 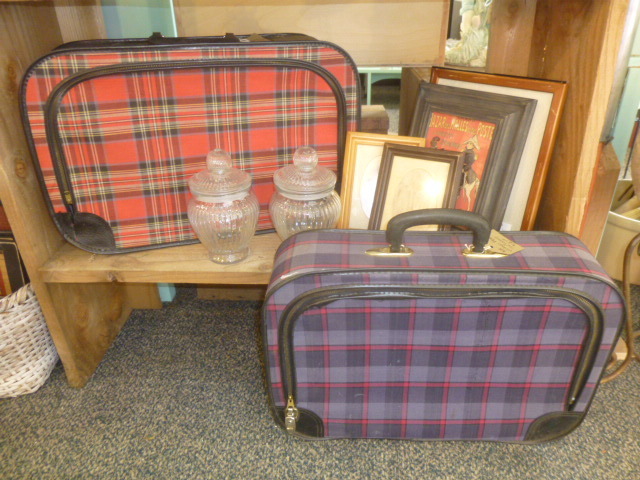 Cutie patootie ‘going to grandma’s house’ size plaid fabric suitcases are now just $10.00 each. 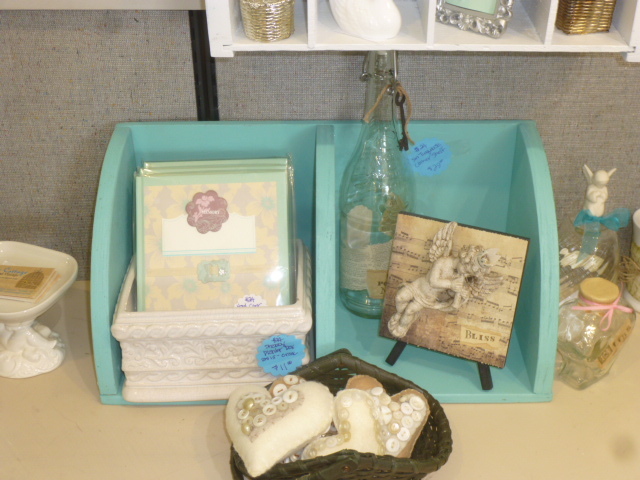 Nice nesting set of display baskets is now $15.00. 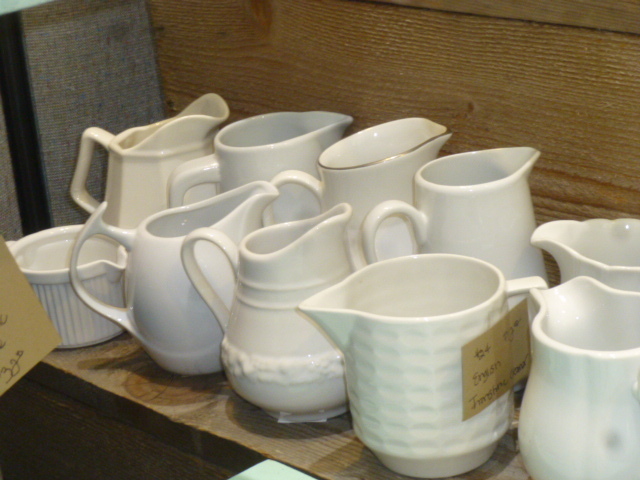 LOTS of vintage pitchers and creamers still available. I always keep these very reasonable priced. MIGHT decide to pull all the white dishes and take them to Stars. So if you’ve had your eye on these, get them NOW before I take them to Stars and they are FULL price again!